WE INSPIRE. WE UPLIFT. WE EDUCATE. Imagine Museum is home to more than 500 pieces of American Studio Glass and represents over 55 artists over 55 years. For inquiries, please contact MEDIA RELATIONS. Childbirth and parenting are themes in ‘Blue Banded Vessel with Birds and Blue Berries,’ a 2000 work by Kari Russell-Pool and husband Marc Petrovic. KARI RUSSELL-POOL AND MARC PETROVIC. 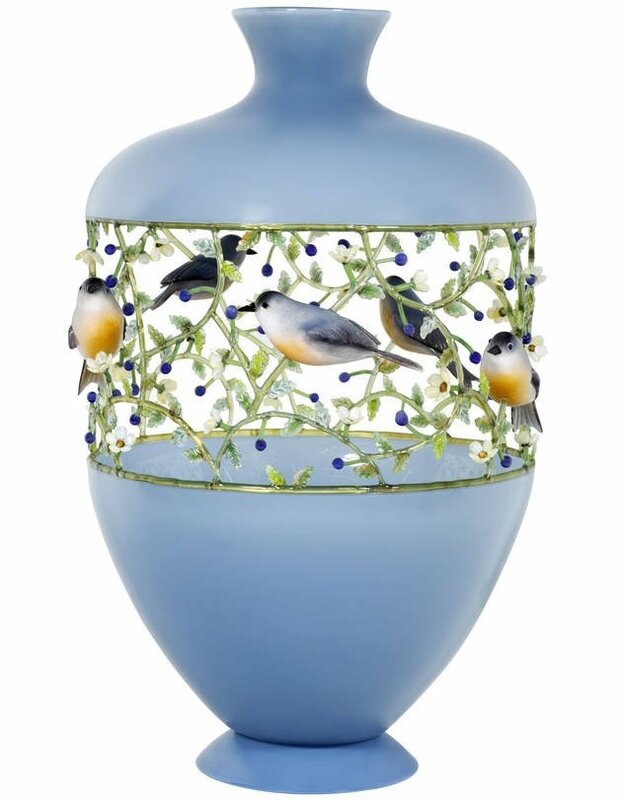 At first glance, it looks like a traditional vase, with a decorative open lattice of birds and berries. But artist Kari Russell-Pool, who collaborated on the piece with her husband, Marc Petrovic, had more than style on her mind: She was pregnant, and for her the vessel, with its vaguely human form, shelters the life and growth in the cutout, evoking themes of childbearing and parenting. 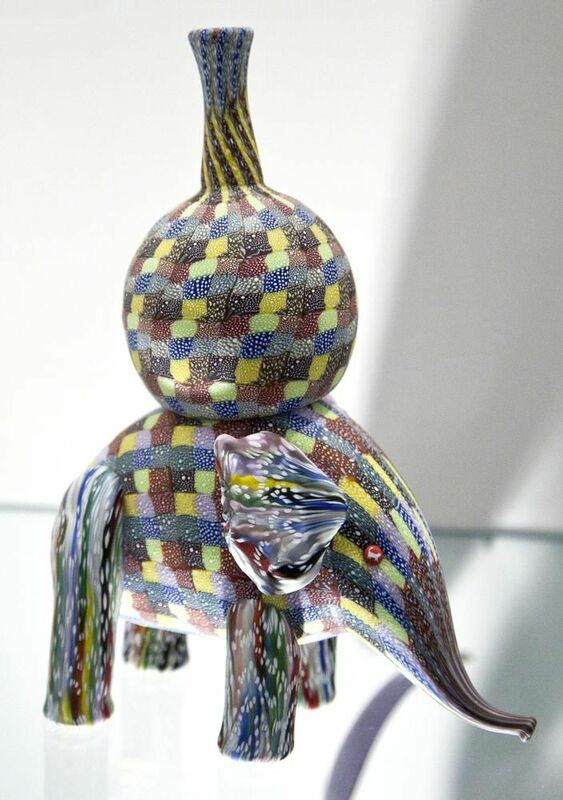 Artistic glass, once unlikely to be autobiographical, has come a long way in the past half-century, and—perhaps unexpectedly—Florida is a good place to see its wide variety. A traveler can begin midway down the peninsula with the Charles Hosmer Morse Museum of American Art near Orlando, home of a large collection of works by Louis Comfort Tiffany (1848-1933), of the stained glass and colorful lampshades. Other collections reflect the advent of studio glass, which has revolutionized glass art since the 1960s. 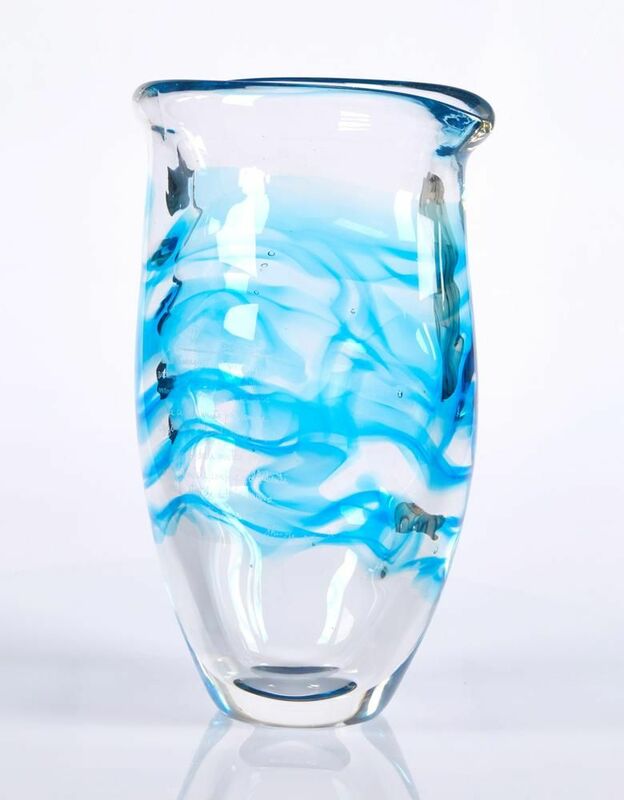 Before that, most glassmaking took place in factory settings according to designers’ specifications, says Jill Deupi, chief curator and director of the Lowe Art Museum at the University of Miami in Coral Gables, Fla., which has a pavilion devoted largely to glass and ceramics. With the advent of free-standing small furnaces that artists could operate in studios, a new generation began creating vivid, striking and sometimes highly personal works. The Imagine Museum in St. Petersburg offers some of these recent pieces; also in the city, there’s a permanent collection of works by Dale Chihuly, who at 77 years old is among the most prominent glass artists. In Sarasota, RichardBasch, a retired radiologist, and his wife, Barbara, are supplying the pieces for “10th Anniversary—Glass Then and Now,” an exhibition that begins Jan. 8 at the visual arts center the Basch family funded for the Ringling College of Art and Design. Dr. Basch and his wife, who have been collecting for about a quarter century, say their home now has so many glass pieces that they store some of them in shower stalls. “It’s literally our life,” says Dr. Basch, 85. About three dozen of the 300 pieces they have donated to Ringling College will be part of the January show. 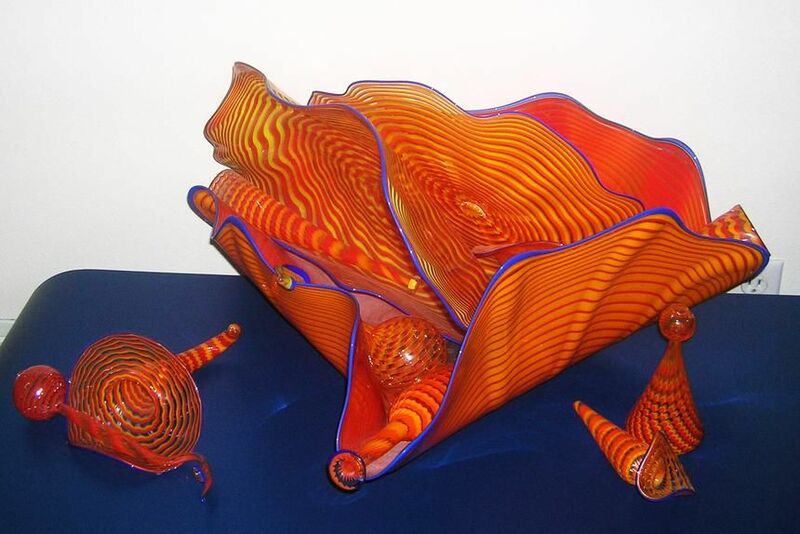 The vessels in a Chihuly group of 12 pieces from 1988 on display, “Navaho Orange Persian Set With Cobalt Blue Lip Wrap,” have wide, wavy lips and other shapes that, when viewed together, might bring to mind flying carpets, Arabic patterns or, in the wild clash between orange and blue, the lab tools of a mad scientist. Animals abound: A patchwork elephant (circa 2003) by Richard Marquis, who created many of his works on an island in Puget Sound, carries a vase of the same patchwork pattern on its back; the sculpture is less than 10 inches high. William Morris’s similarly scaled 2000 “Antelope Head With Ferrets” depicts the animals, tails with streaks of brilliant red, cavorting on a stylized version of a presumably deceased antelope. Later iterations in her “banded vessel” series have focused on flowered lattices and are solely her work. A separate show highlights about 40 pieces by Giampaolo Seguso. The artist, 76 years old and born to one of Venice’s famous glassmaking families, often inscribes his poems into his abstract glass pieces. Asked to name the work he owns that means the most to him, Dr. Basch picked one that because of its rarity probably won’t make it to the Ringling exhibition: a “La Fenice” vase by Archimede Seguso, Giampaolo’s father. In 1996, the 86-year-old watched from his home nearby as Venice’s beloved theater, La Fenice (the Phoenix), burned. The next day, he went to his studio and began responding in glass to the tragedy. Dr. Basch’s vase, of white and red bursts on a field of black, conjures up the night’s fire, steam and smoke. Seguso, who died in 1999, didn’t live to see it, but La Fenice rose again. St. Petersburg, FL — Imagine Museum announced that Jane Buckman is appointed as Imagine Museum Executive Director. Jane Buckman received her MA in studio arts from Western Illinois University. 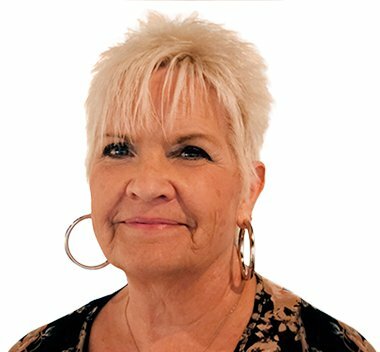 She has been involved with the arts and arts administration throughout her professional life. From her earlier years as an Artist in Residence for the city of Chicago, moving forward as an administrative executive at private arts colleges in Los Angeles, Chicago, and Seattle, she has advanced opportunities in the arts to all audiences she has served. In 2007 she moved to Sarasota, FL and shifted from executive leadership at the college level to being the Director for the Longboat Key Center of the Arts, a division of Ringling College. In this capacity, she gained additional administrative experience in gallery management, community education development as well as originating the Sarasota Glass Weekend in partnership with Ferdinand Hampson founder and past president of Habatat Galleries (MI) beginning in 2010 and continuing through to today. Ms. Buckman came on board with Imagine Museum in March, 2017 as the Deputy Director opening the Museum in January, 2018. There is something so special about the Imagine Museum and the glass that lives within its walls. The Central Avenue studio glass art museum opened just a few short months ago in the former Imagine School, capitalizing on the Renaissance of St. Petersburg and its coming-of-age art scene. For its part, St. Pete has welcomed the museum with open arms. It is already capturing the imagination of its visitors and even its deputy director, Jane Buckman. Buckman is singularly focused on the museum’s development over the coming months and years, as well as founder Trish Duggan’s vision for the advancement of the studio glass movement regionally and nationally. The Imagine Museum – right now it pretty much has all of my focus. There are 3 things that get me out of bed every day. Especially focusing on the Imagine Museum. The first is the vision of our Founder, Trish Duggan. What she wants to accomplish with the museum, I support all of her vision. Secondly, the artists we represent. I want to make sure they are represented in the best possible light in the museum. Third – the community of St Pete. I feel that we owe something tremendous to the city of St Pete and I’m grateful to everyone who has worked with us over the last year to get the museum open. The museum was here – that’s what brought me here. I lived in Sarasota. I worked with Ringling College prior to coming up here. It was through putting together a glass weekend in Sarasota over the last five years and working with the artists and working with Habitat gallery, who then ended up working with Trish who brought me here. Being here a year, I couldn’t think of another place I’d like to be right now. A discipline to stay focused, to stay focused. I pretty much apply that to everything in my life. Ms. Joanna Sikes and Trish Duggan are right now pretty huge influences. I do work with them, but their inspiration, their drive, their commitment is helping me continue to grow. WHAT IS ONE PIECE OF INSIGHT – A BOOK, METHODOLOGY, PRACTICE – THAT YOU WOULD SHARE WITH OUR READERS? 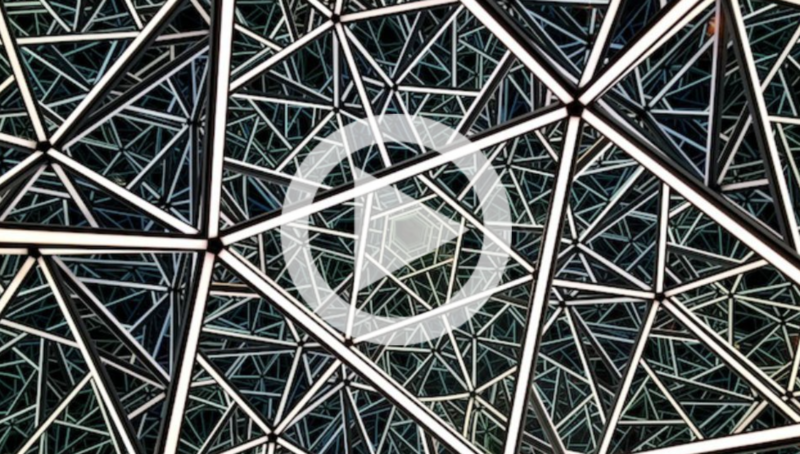 My comprehension of the full studio glass movement – I wish a year ago that I had more of it. It’s been a quick study in this last year. It’s been enjoyable all the way through, but to be able to do what I do, I wish that historically I knew more prior to coming in. Continue working with this museum. Enjoying St Pete. Really having a museum open for six weeks, I am looking at 3 years, 5 years and what more we can do being in the city of St Pete and how we can take this mission and expand it more regionally, nationally and internationally.